I don’t often get to take Namine to therapy, since it’s in the middle of the day. I had the opportunity yesterday, though, and we brought Namine’s new scooter. 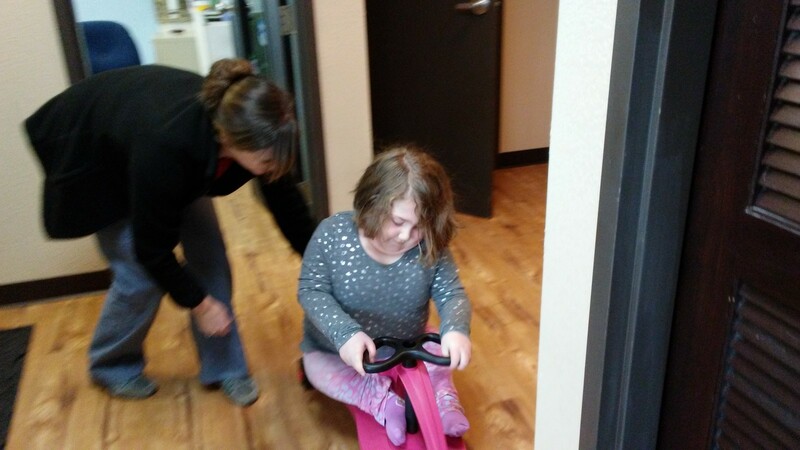 Namine has ridden a momentum-based scooter in therapy before, and she loved it. As a result, one of Namine’s Christmas presents was a brand-new scooter of her very own. Jessica and I put it together, and we brought it with us to yesterday’s physical therapy session. After riding the bike around for a while, it was time for Namine to move on to working in her walker. 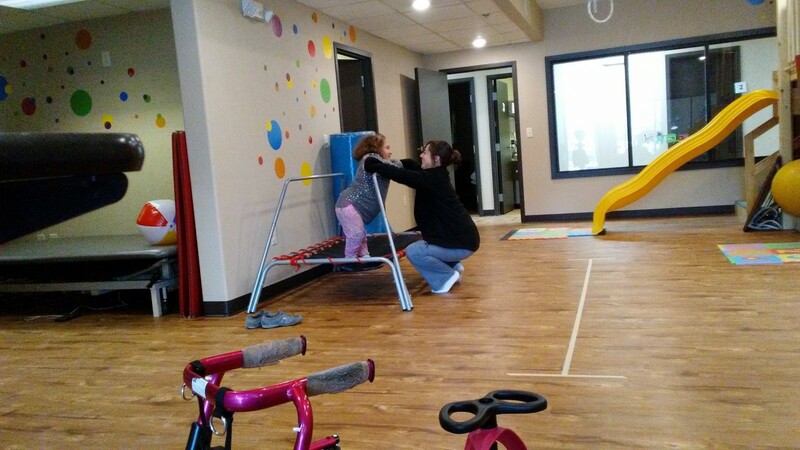 Before doing some walking around, she worked on her balance as she hit a beach ball back to her therapist. Namine also had to walk around the room and hallways in her walker, kicking the beach ball as she went.